Companion is one of our most popular knives, because, as the name suggests, it is such a reliable companion. It works well both as an introductory knife for the younger generation as well as for more experienced outdoor enthusiasts. Companion is used in a huge variety of situations by a range of users: bush crafters, hunters and outdoor enthusiasts have all discovered the charm of this knife. Companion is used in a huge variety of situations by a range of users: bush crafters, hunters and outdoor enthusiasts have all discovered the charm of this knife. The blade is made of Swedish stainless steel, which makes it easy to maintain and keeps the blade sharper for longer. 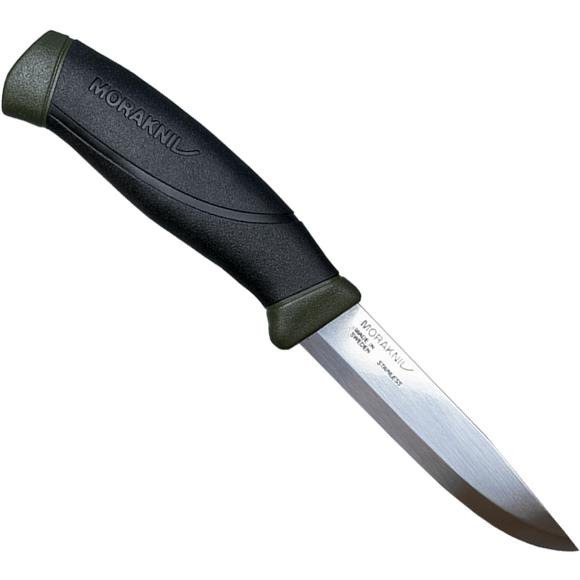 It has a soft, friction grip handle made of TPE rubber, which makes the knife feel safe and steady to work with. The polymer knife sheath has a practical belt clip for attaching the knife to a rucksack or a belt - always close at hand.